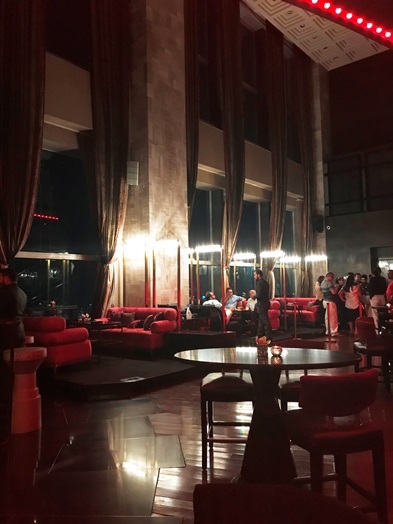 While The St. Regis Mumbai doesn’t have an executive lounge, it offers a ‘happy hour’ from 6pm to 8pm. And while at first I was a bit disappointed, I was even more positively surprised after having been there. 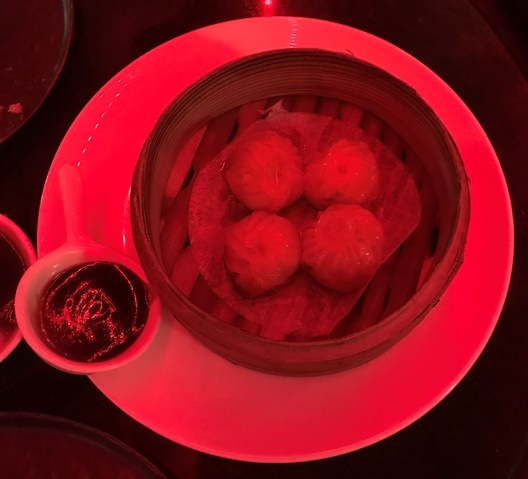 Besides the drinks, which includes alcoholic drinks, you can also a variety of complimentary dishes during happy hour like the “Edamame and Truffle Dumpling” which were great. 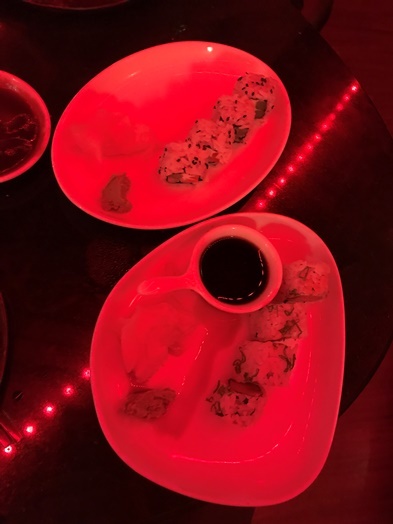 … as were the “California roll and spicy salmon roll”. 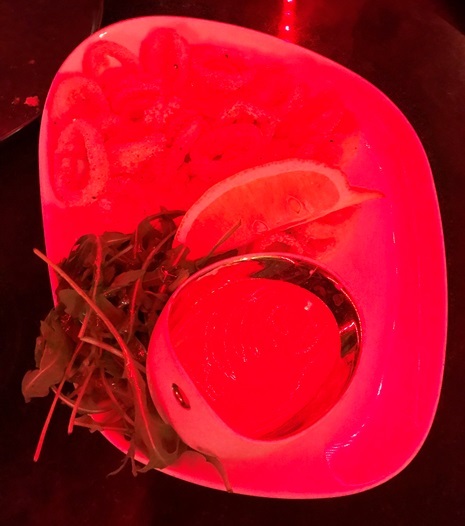 … while the “fried calamari, lemon, sea salt” were quite tasty again. You just have to make sure that you order rather early as it takes quite a while until your food arrives. At least they are also super generous in terms of the alcohol they serve – when you place your order 7:59pm, you will still get it for free – even if it will in the end only be served like 9:1opm. 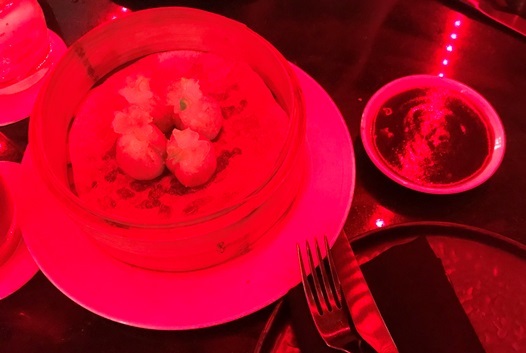 The place itself is quite nice and generally fine in terms of interior design but the red light which is kind of dominating the whole place is definitely too much for my personal gusto. 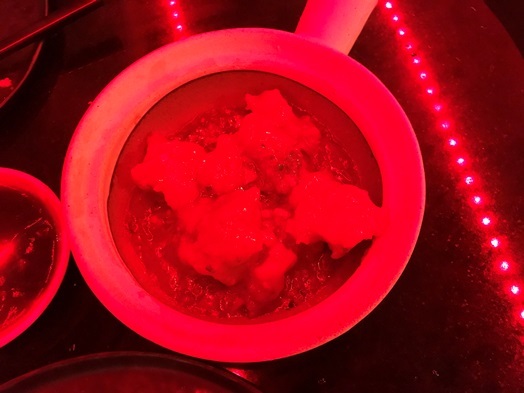 The service is friendly and really tries its best to satisfy you as a customer – however, due to the fact that it takes quite a while until your dishes are served, it is highly recommended to ask them how long it will actually take. Especially if you’re rather on the impatient side. I started the blog in October 2009, while living in Milan which I definitely consider to be one of the food capitals of the world. I was in touch with food since my early childhood (as my father is a former chef). Whenever I can, I travel the world to discover new places, to meet people but mostly to try local dishes and to find hidden gems! If you know a place worth going, please drop a line to: info@thediningexperience.org. Currently, I am a member of the following food-related associations: Chevalier @Chaîne des Rôtisseurs Zurich-Ville; Membre Gourmet Dégustateur @Ordre Mondial des Gourmets Dégustateurs [OMGD]; Gesellschafter @Goldener Fisch and Member @Slowfood Convivium Zurich City.